Proove is the rapidly growing vision and passion of “two guys that love pizza”. 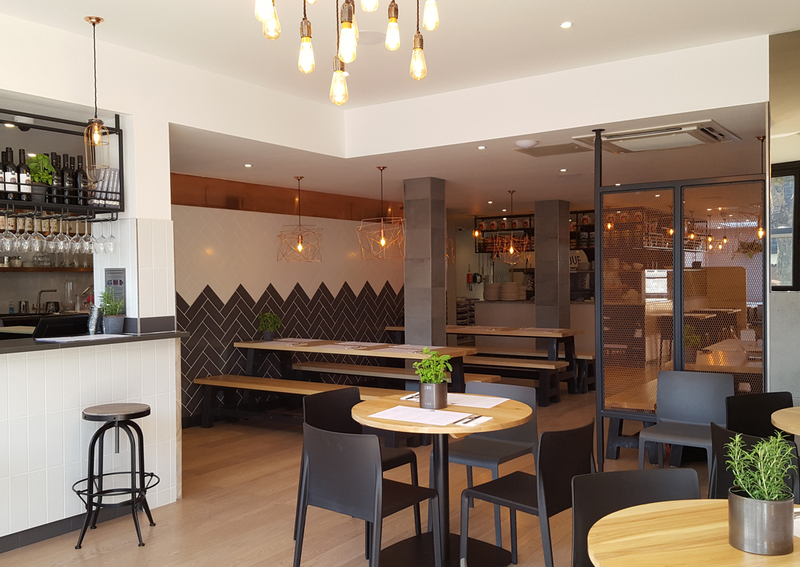 They aim to share their passion for Napoli styled wood fired pizza though city styled restaurants and pop up venues. Each venue differs in design, feel and atmosphere but consistently delivers a delicious pizza. 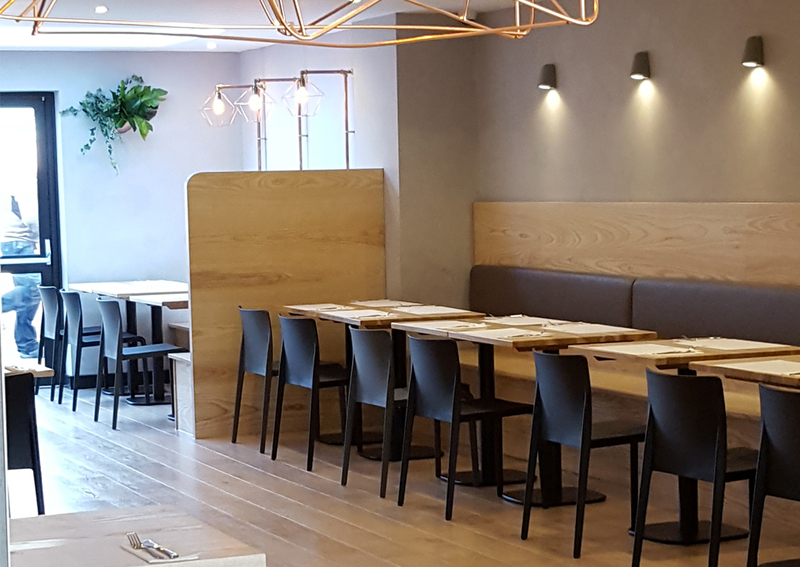 Designer Sally Flude collaborated with Nova Interiors to create a city styled environment for diners to enjoy their Napoli-styled pizzas. Sally combined Volt chairs and high stools from Nova’s furniture collection. She utilised their bespoke capabilities by designing custom tables and poseurs made from powder coated steel with a selection of solid timber and laminated plywood tops.